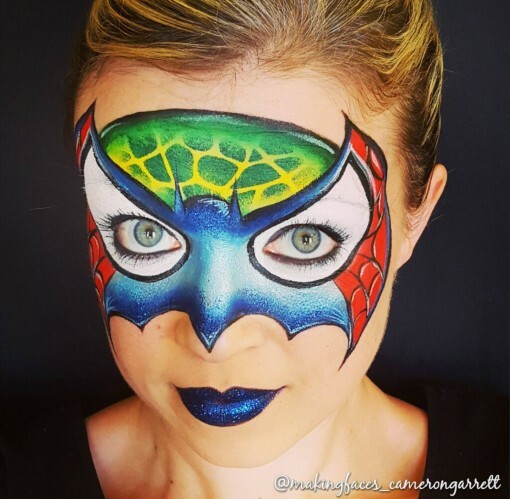 Daisy Design aka Christy Lewis from NZ always amazes us with her fun twists and creative spins on the most popular designs. 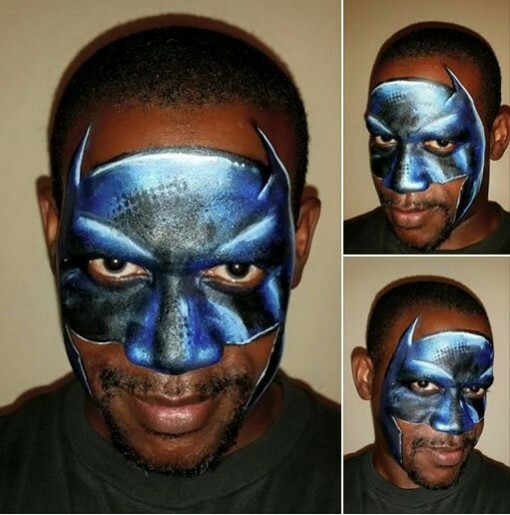 We love this hybrid metal batman. 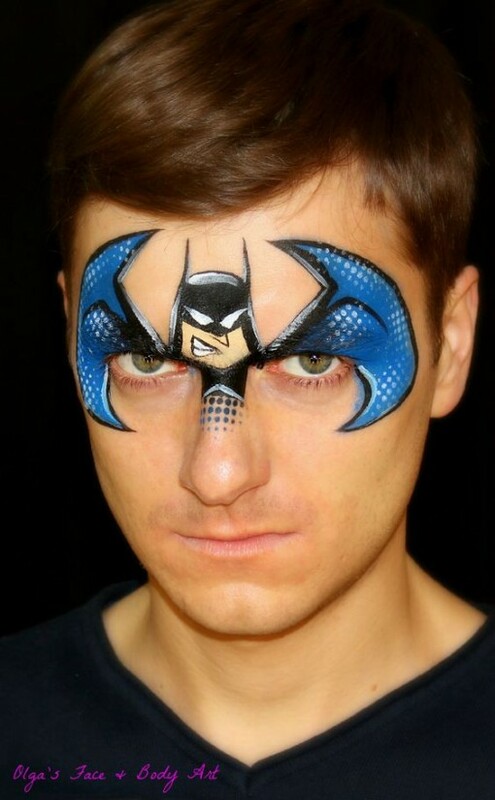 We LOVE Jocelyn Casdorph. 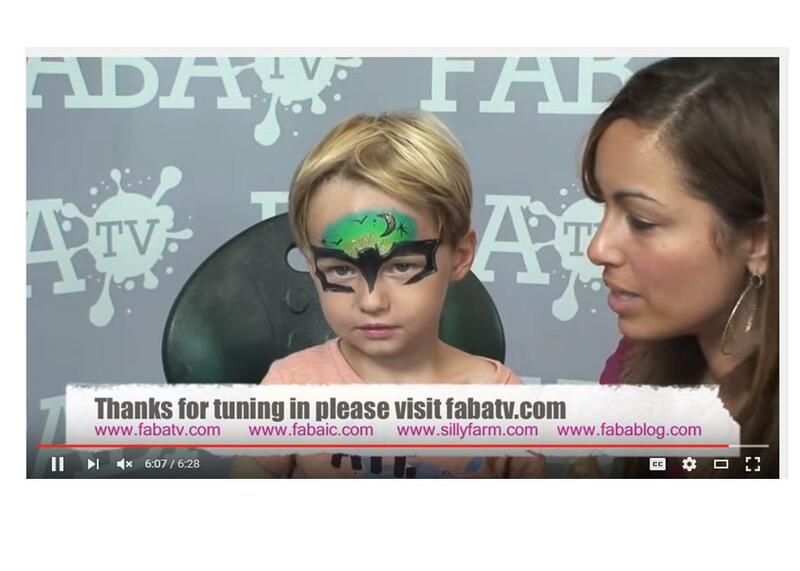 If you have ever taken her classes in person or on FABAtv then you know she is always blowing your mind. 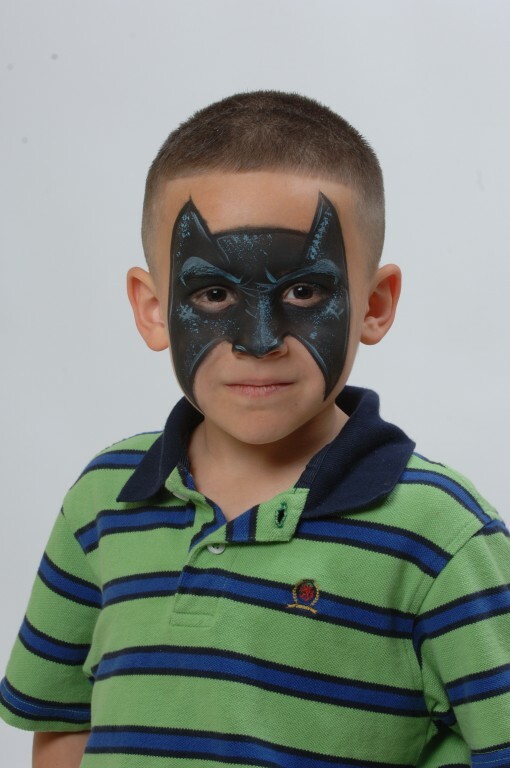 This Batman mask is NO exception. 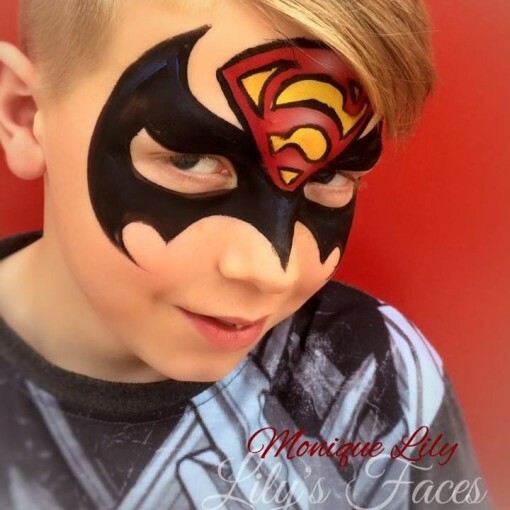 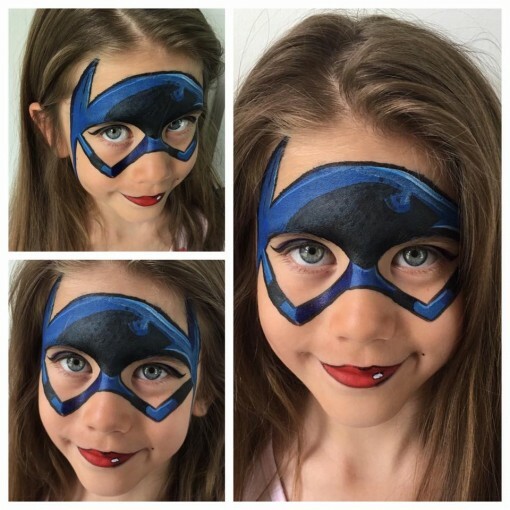 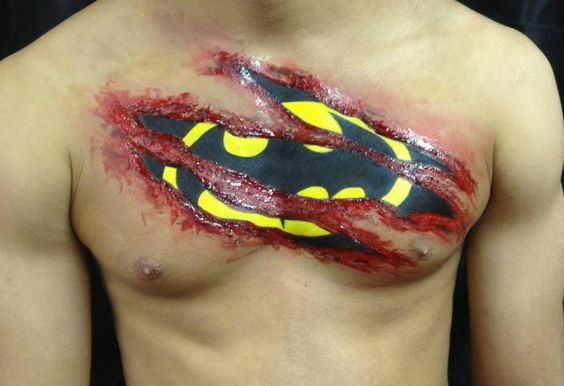 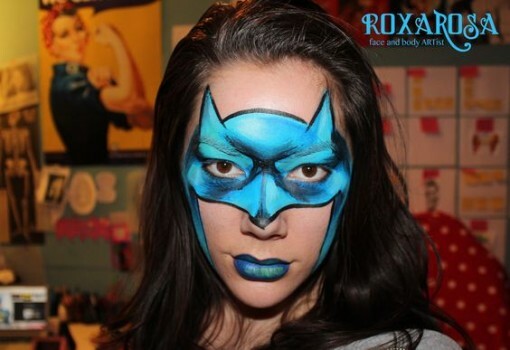 Olga of Olga’s face and Body Art created a superhero series on her Youtube channel. 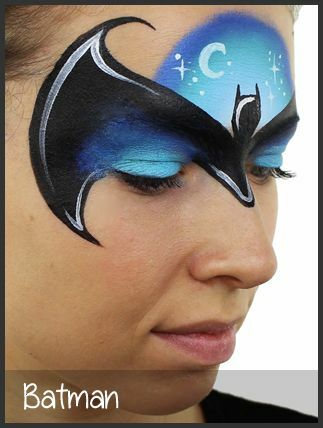 This look is one of the super cool spins on Batman. 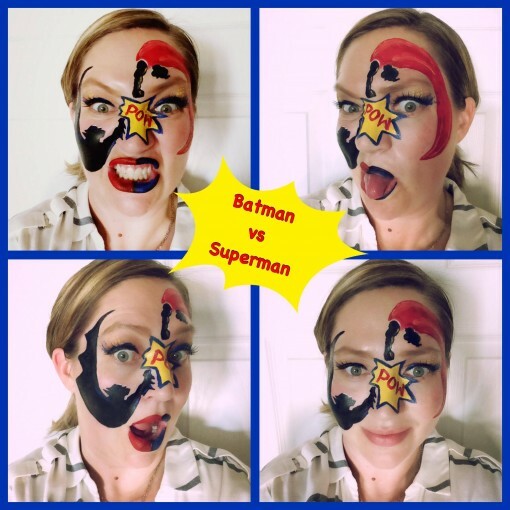 Check her awesome teaching skills out on her FABAtv channel too! 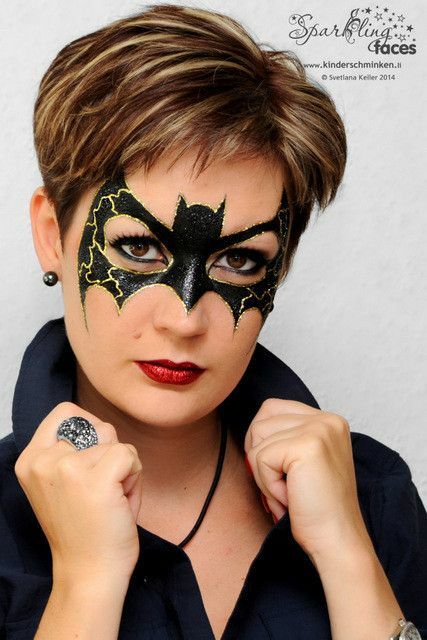 Svetlana Keller never disappoints. 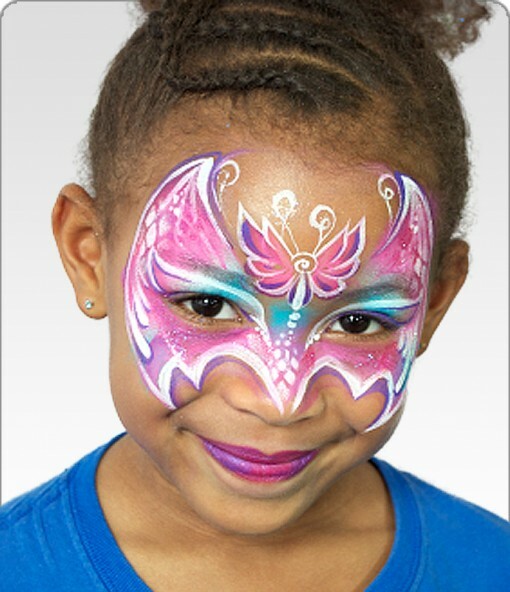 We love her vibrant colors and its awesome how she incorporates stencils for that added touch! 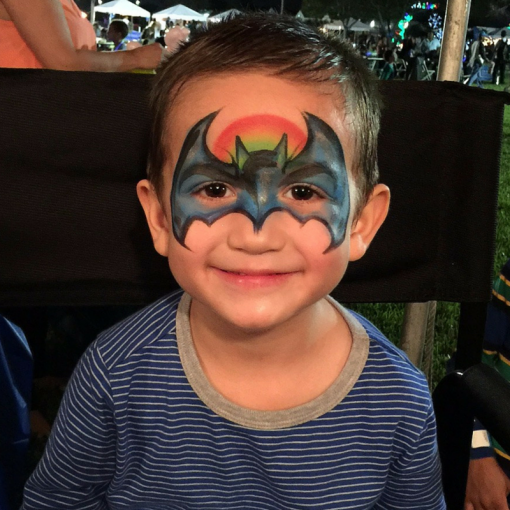 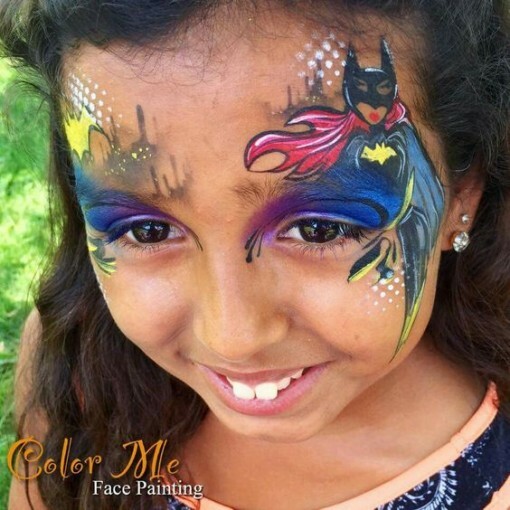 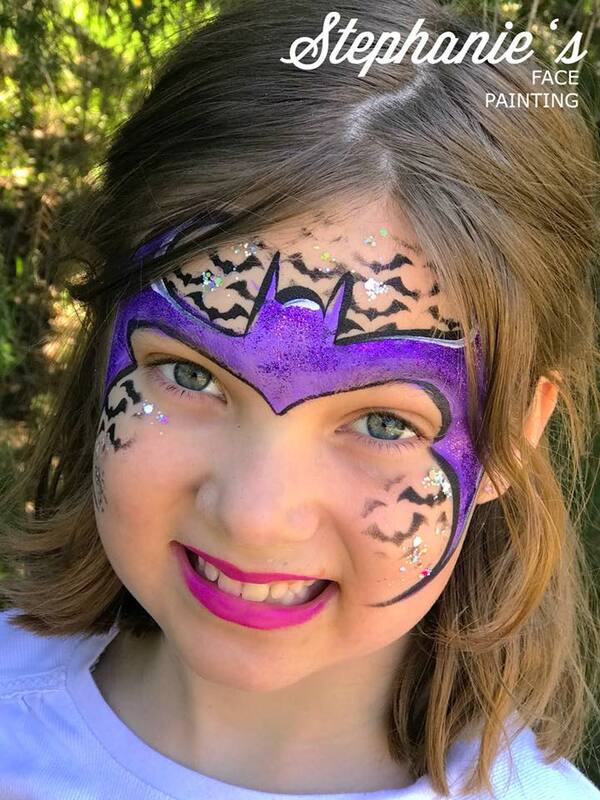 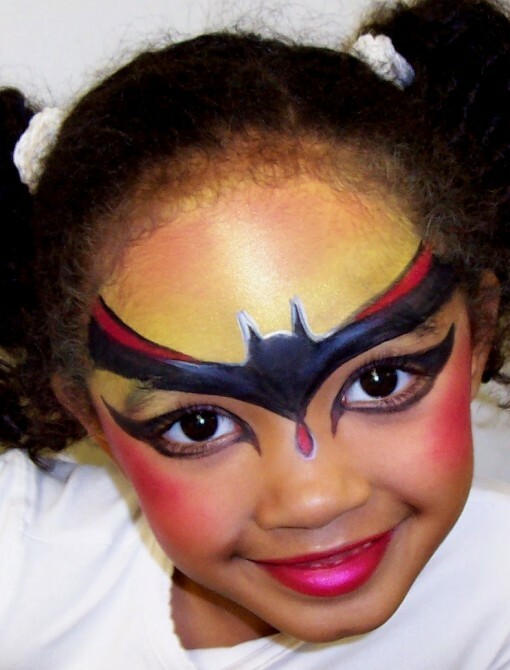 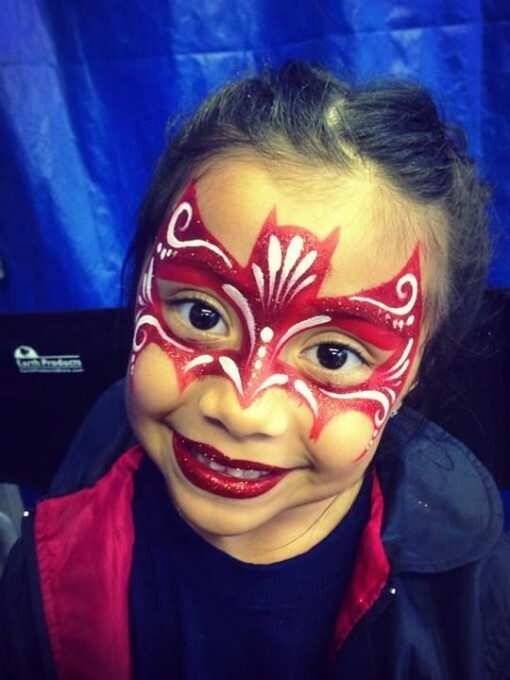 YOU must follow Vanessa Mendoza with Color me face painting. 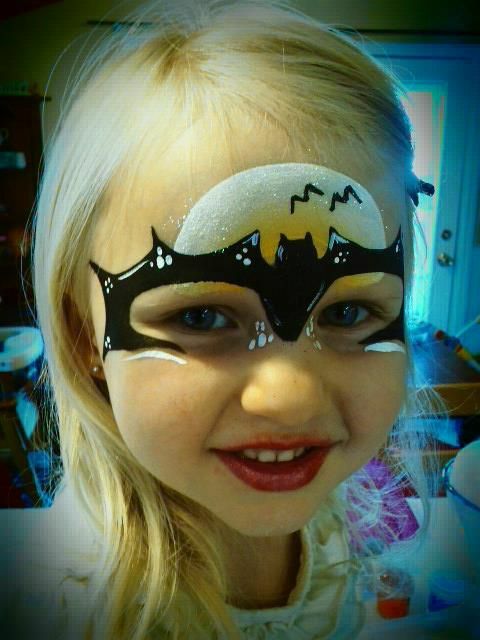 she has been so creative in designing over the eye princesses and super heros. 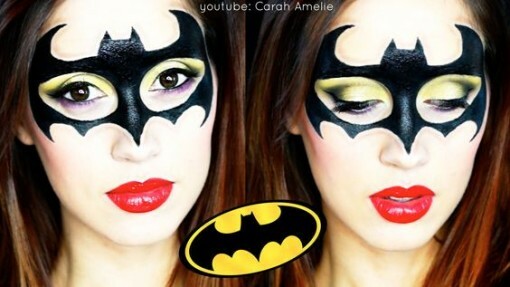 They are to die for! 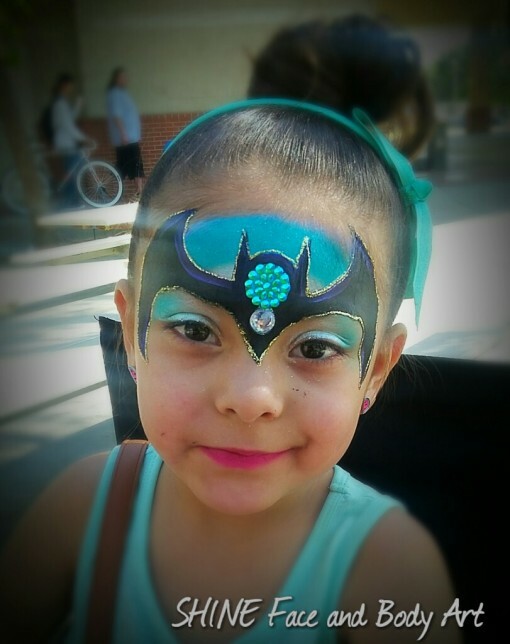 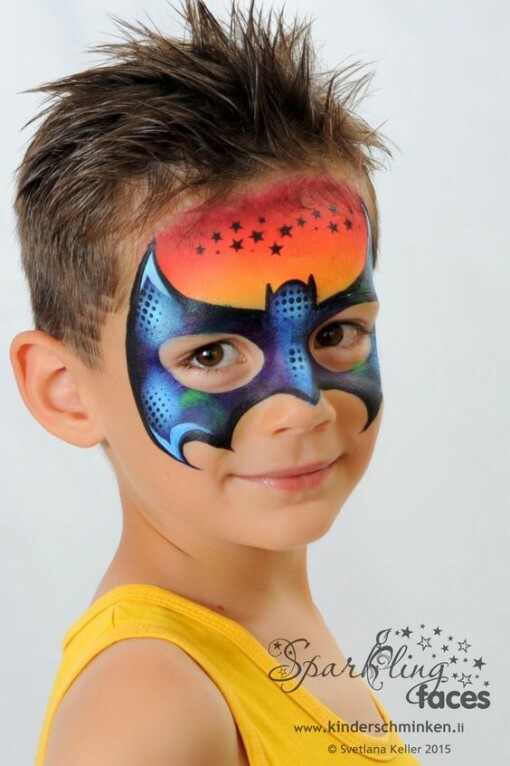 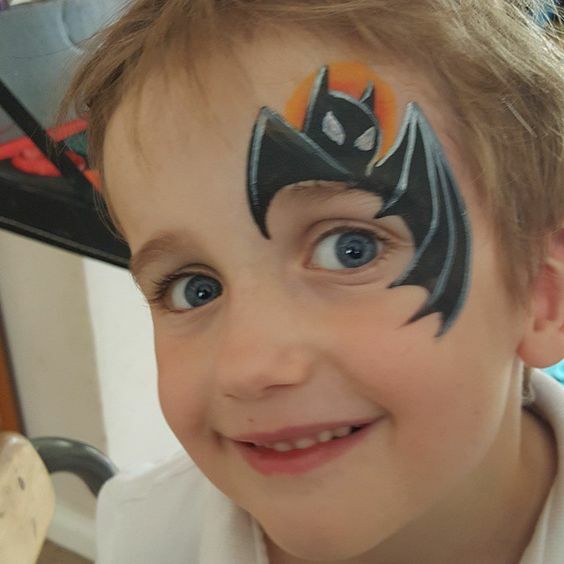 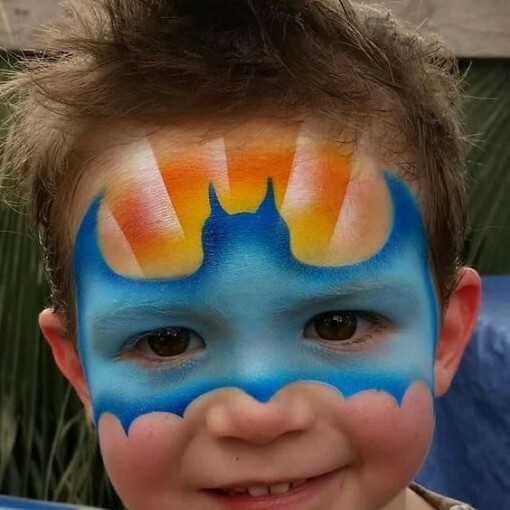 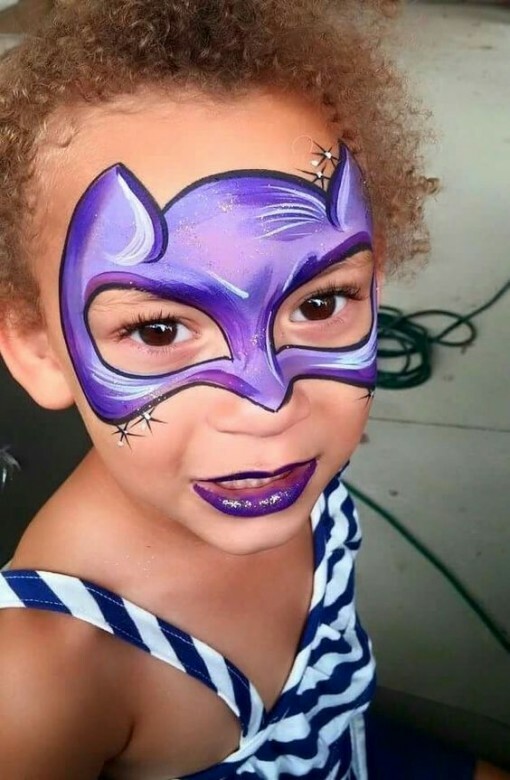 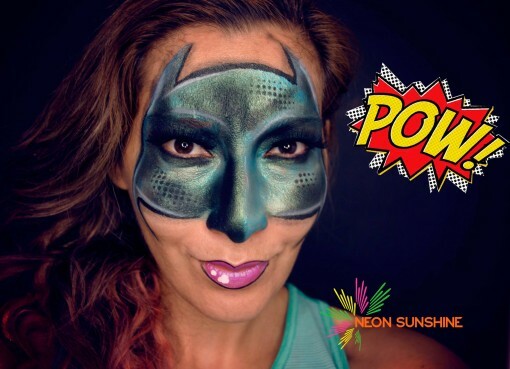 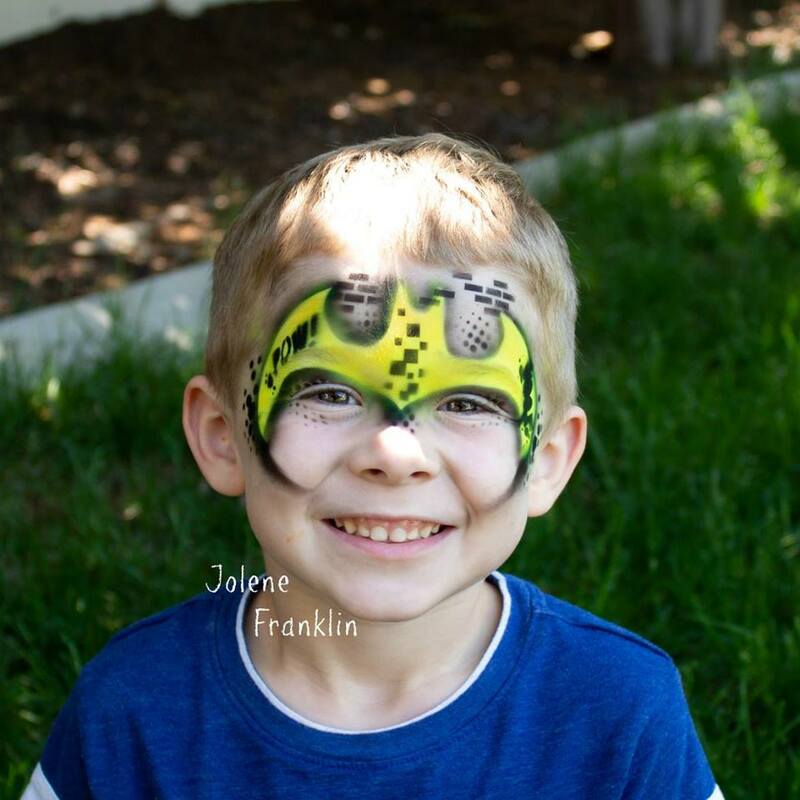 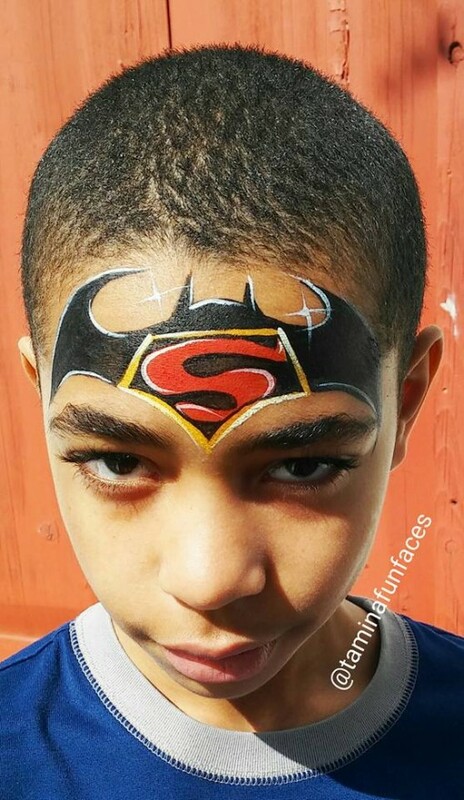 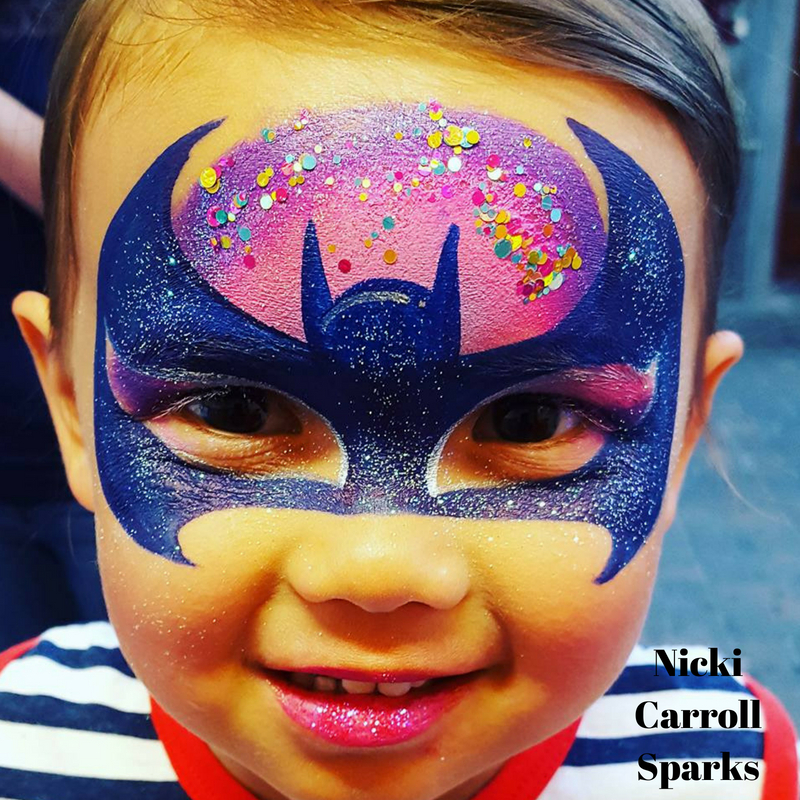 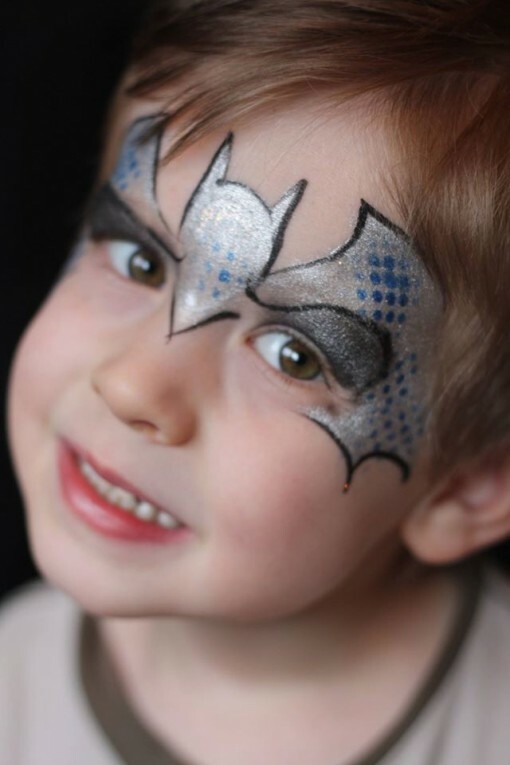 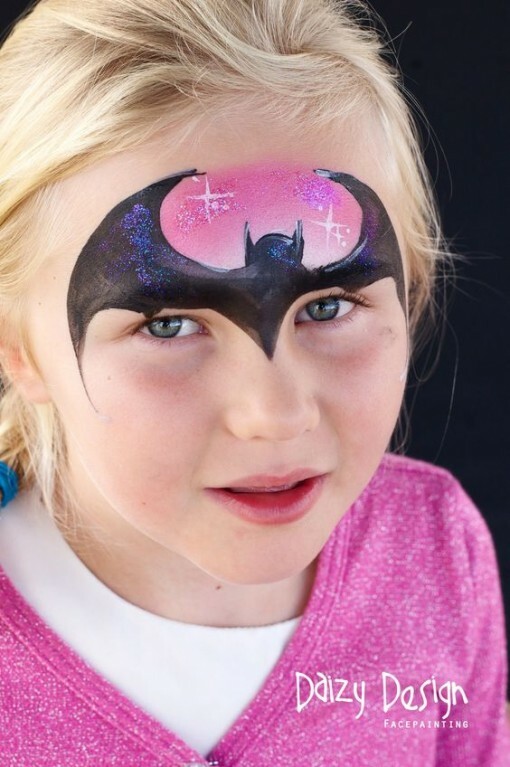 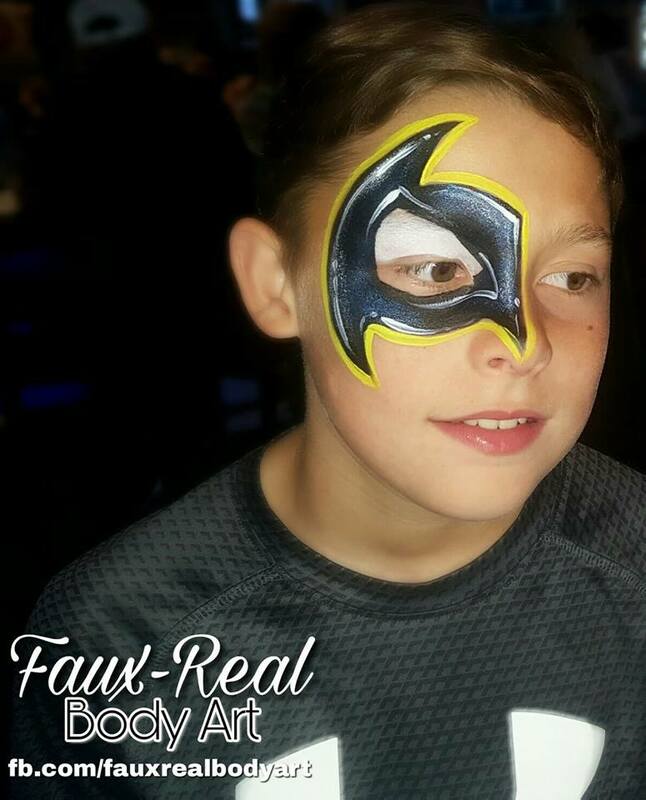 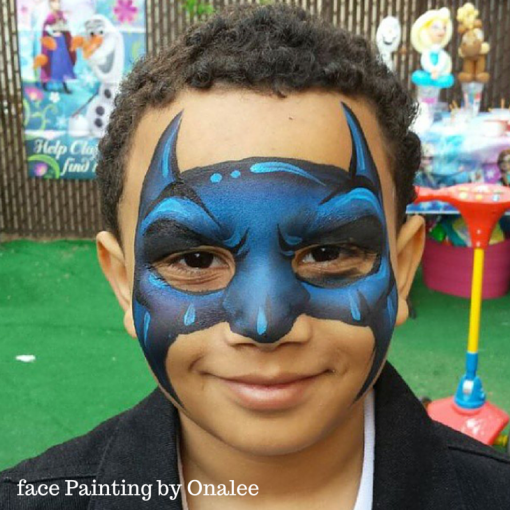 Neon Sunshine Face painting rocked this super hero comic style batman. 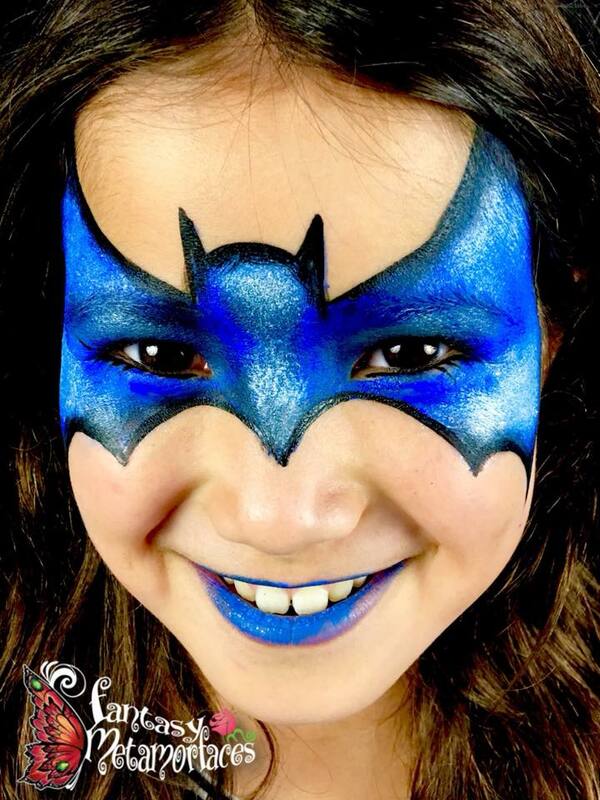 She shows that bat girl can still look fabulous with a vintage feel. 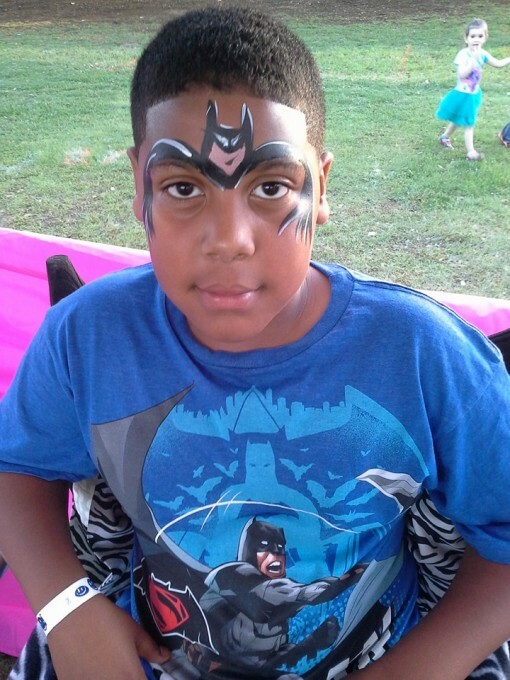 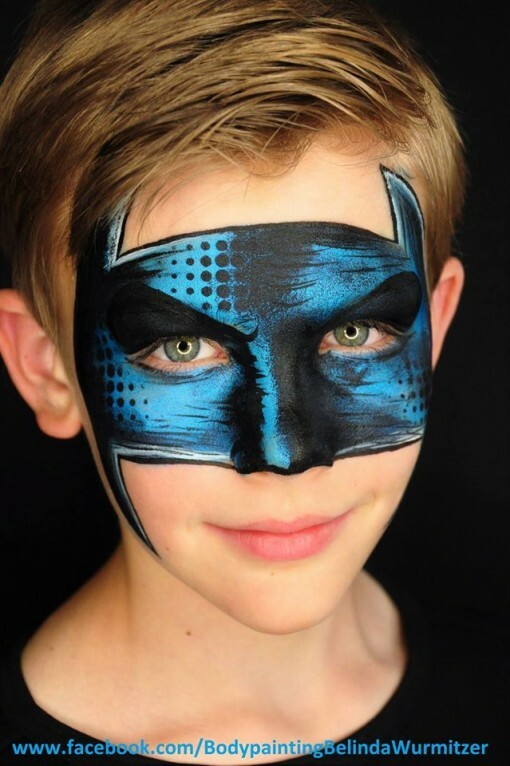 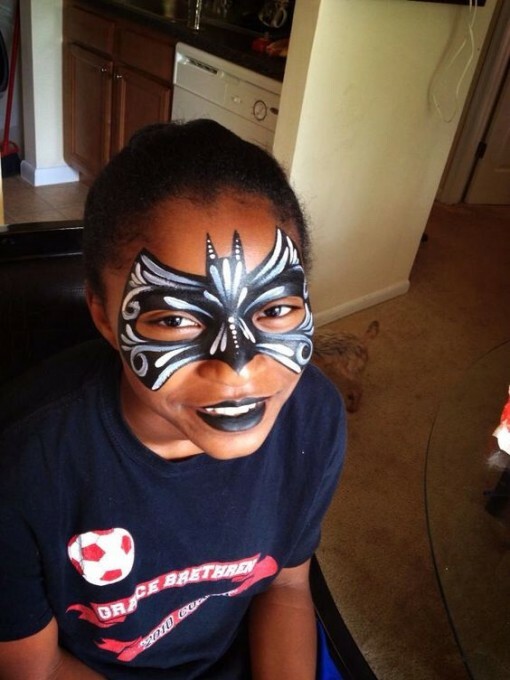 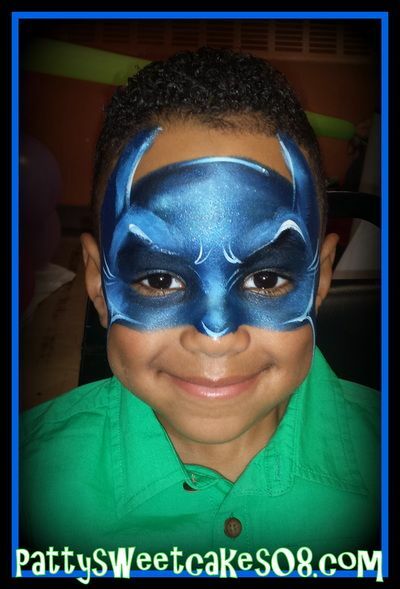 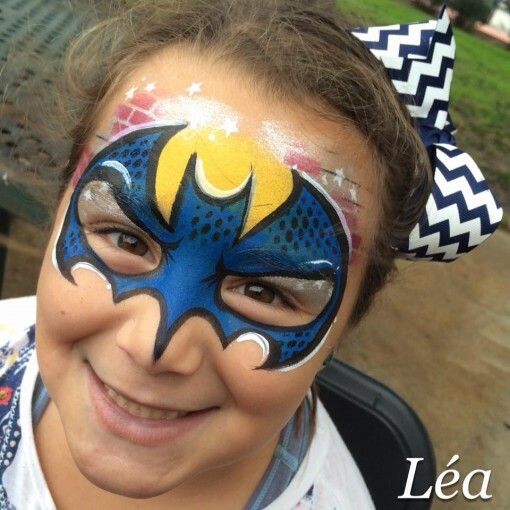 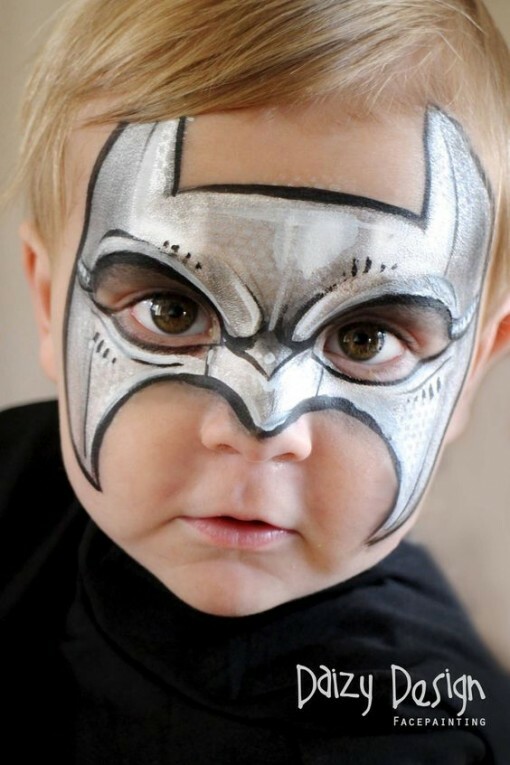 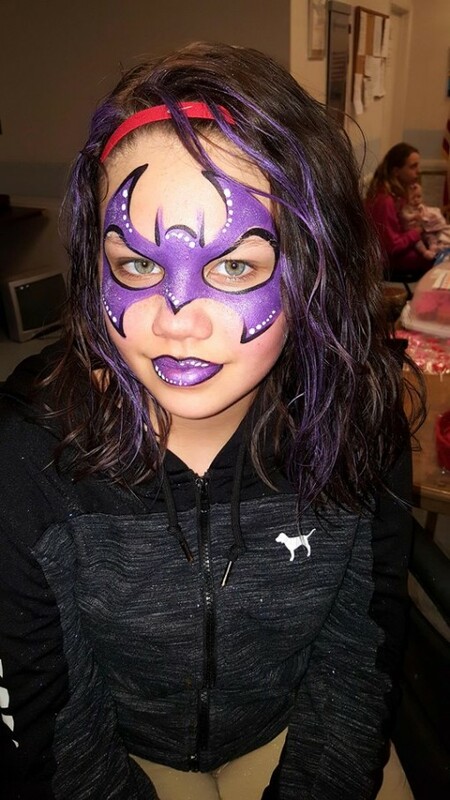 Janie pruitt Baze did an awesome job of combining Batman ( actual) and mask design to create an over the eye design. 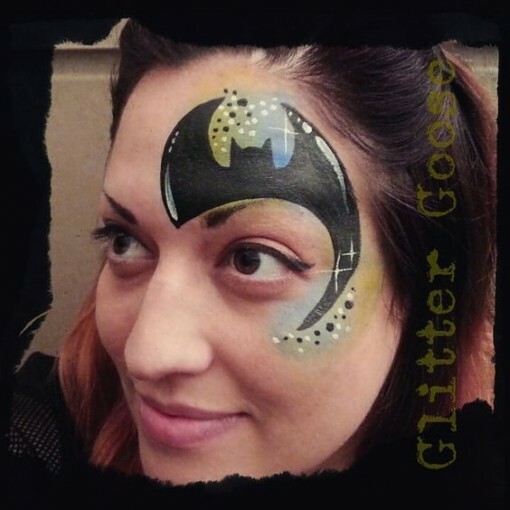 Nicole from Face a Rama knocked this one out of the park with her bright bold contrast of black and white and swirls all over. 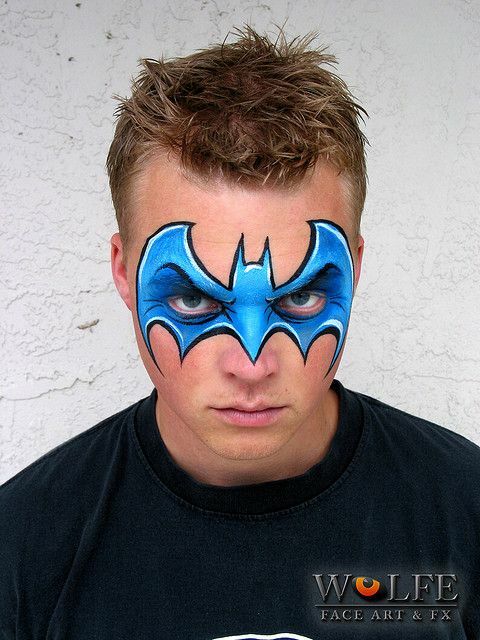 The first Batman that blue me away was created by Nick and Brian Wolfe. 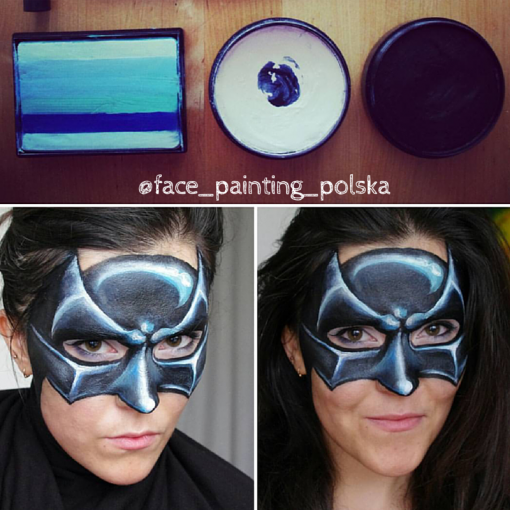 I never thought of changing the mask to blue but it totally works! 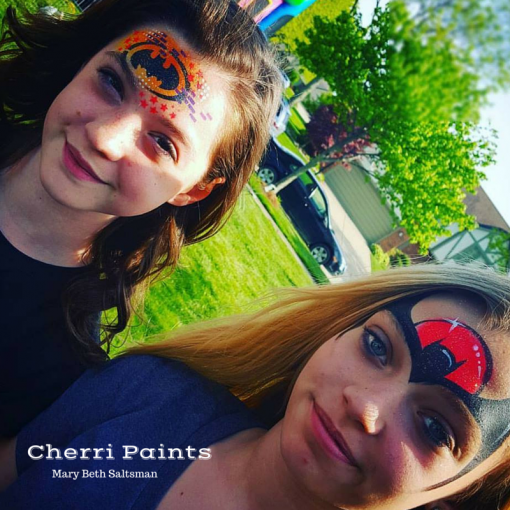 Add a little rainbow in the background for a instant fun! 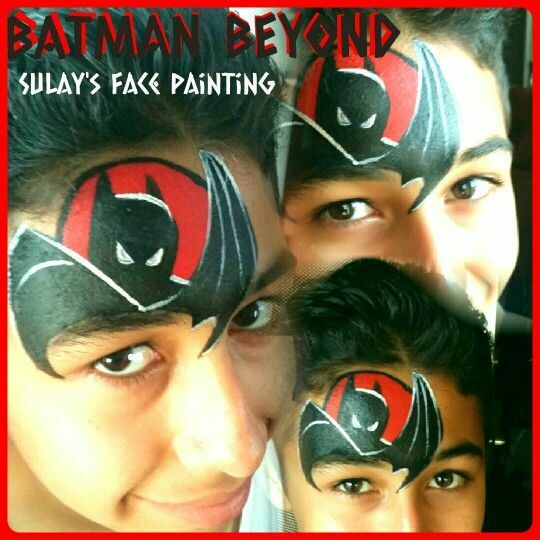 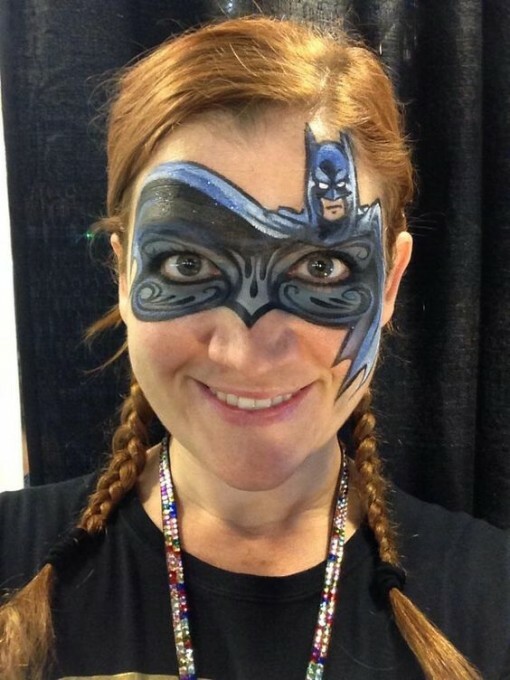 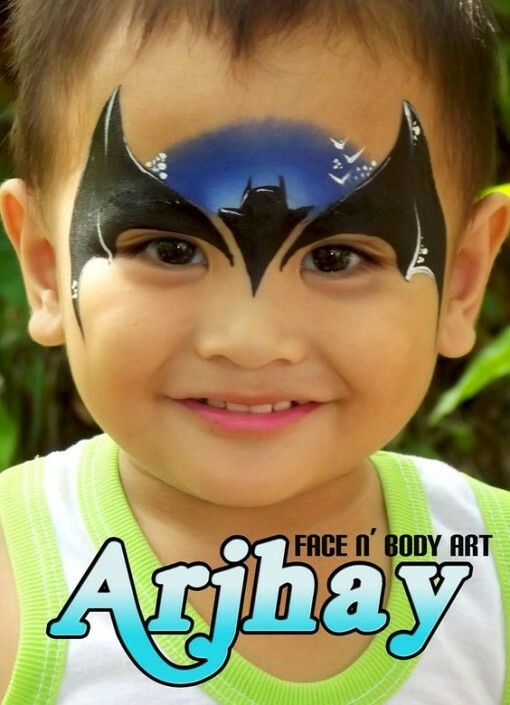 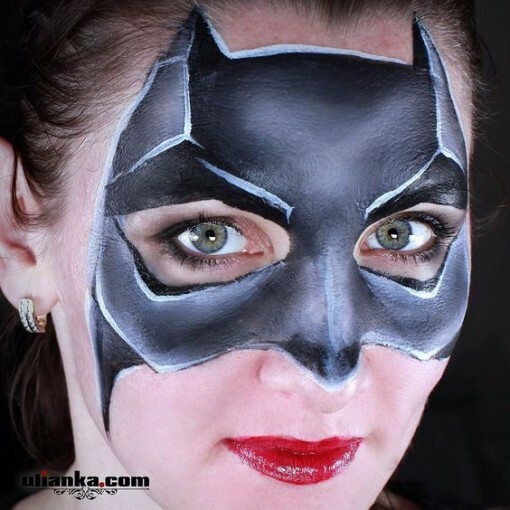 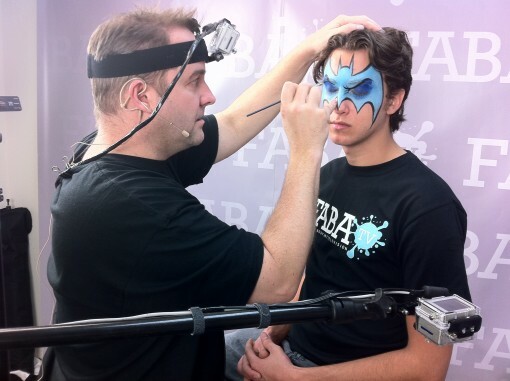 Many moons ago I made a video for a Dark Knight face painting design. 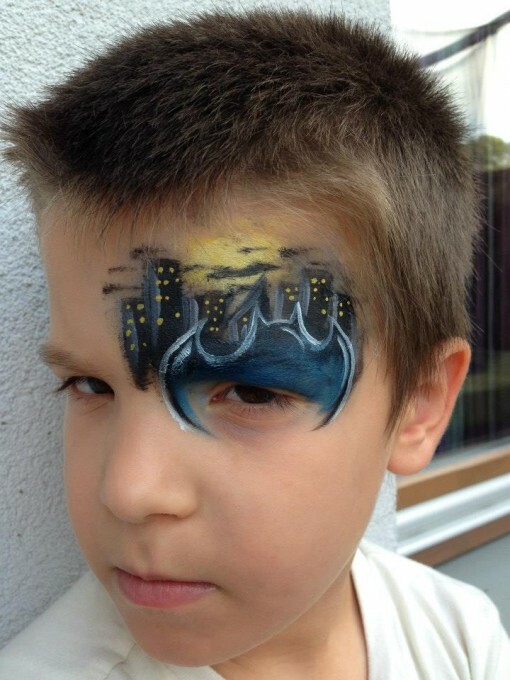 The little boy still asks me to paint it. 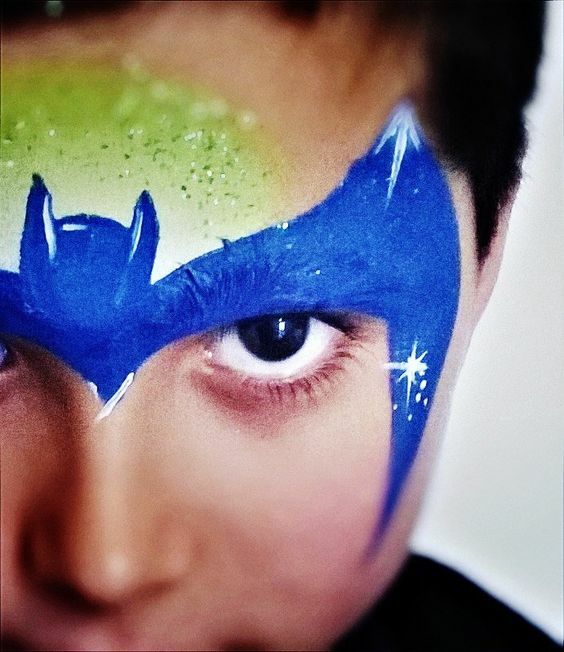 when you cant decide which superhero you want to be Cameron lets you choose them all! 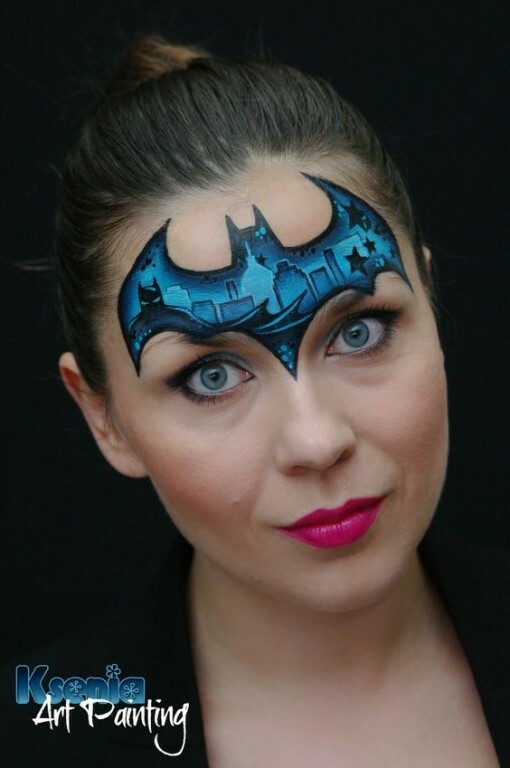 If you have a an awesome bat design you want to share send it over my way! 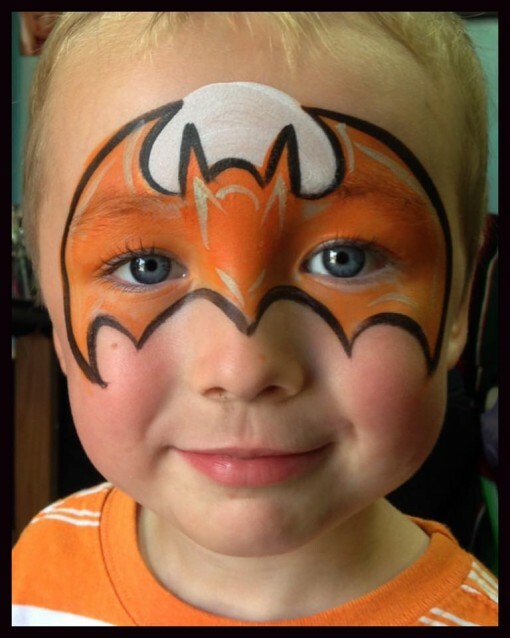 Email it to me at heather@sillyfarm.com and I will pop it in here. 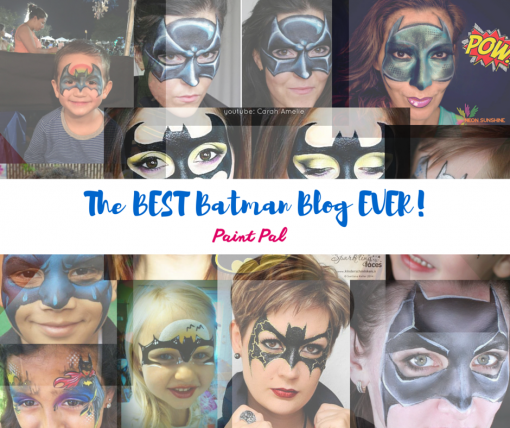 I am working on the BEST damn Butterfly Blog as well so if you want me to include it send it over too! Hope you enjoy this blog and it fills your brain with lots of fun inspiration.